If you have fond memories of seeing “Star Wars” in the theater in 1977, you can thank Mark Boudreaux for some of that experience. He wasn’t part of the film production, however. 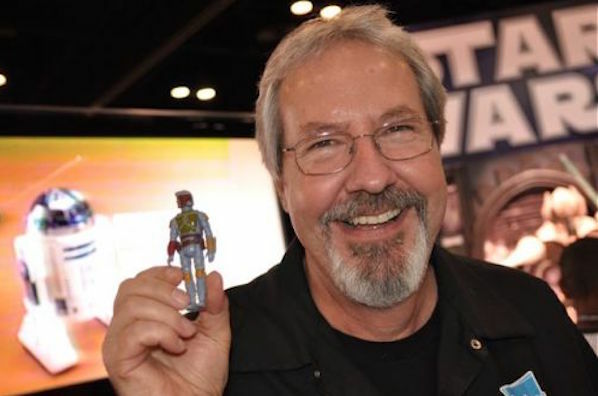 He was the one of the chief designers of Kenner’s first “Star Wars” toys and figures. In fact, the 2015 Pop Culture Hall Fame Inductee is still on the job, now with Hasbro. It’s unfathomable to think about today, but merchandise for “Star Wars” was almost an afterthought. In 1977, nobody took science fiction movies very seriously, aside from art films like “2001: A Space Odyssey.” The critical acclaim and enormous box office success of “Star Wars” caught the world by surprise. Boudreaux has been at the helm of these toys since the beginning. With the sequels, they were able to plan much farther ahead, as the success of the films and toys was pretty much guaranteed. Another thing that has changed: In the early days, designers worked from black and white photographs and with short notice. Now, everything is digital, and the planning goes on much more in advance.